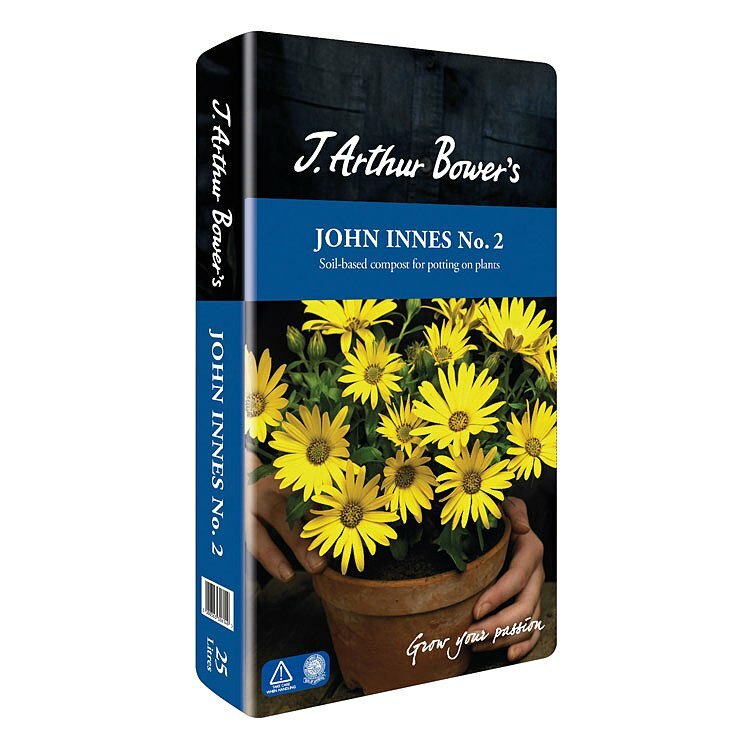 J. Arthur Bower's John Innes are traditional, superior quality soil-based composts. 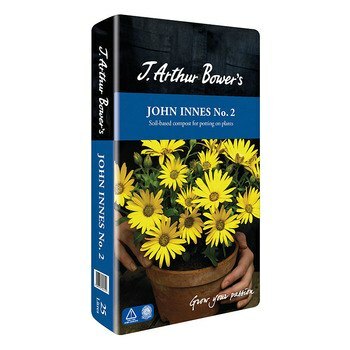 John Innes no.2 has a nutrient level most suited to houseplants and vegetables being re-potted into medium sized pots. The loam is its most important ingrediant as it provides a natural resovior of plant foods, trace elements and contains some organic matter that releases nitrogen slowly to the plant. Spagnum moss peat in John Innes improves aeration and water retaining capacity whilst Lime-free grit sand is included to allow excess water to drain preventing waterlogging. To give the pH level most plants prefer ground horticultural -grade limestone is added. The compound fertiliser in John Innes provides the wide spectrum of plant nutrients needed for healthy growth. These include nitrogen for leafy growth, phosphates for root development, potash for flowering and fruiting and trace elements for colour and flavour.